The staff on reception were very nice.The layout of the hotel was good. Staff, facilities, breakfast and location everything was beautiful. You also get to use the sister hotel across the road. Good location, good selection for breakfast, pool. Upgrade to bigger room with pool/sea view. Great food, free and large parking facilities. Free fruit and spa voucher from the General Manager :) it was great, would recommend to go there. very friendly staff and excellent location. quiet and comfortable, ideal for combining work and travel. Very good breakfast. Good location and friendly staff. The two bedroom apartment was spacious with a bonus extra bathroom. The hotel is centrally located in the main shopping strip and across the road from the beach. Mini supermarket is on the property. Chaina is only 20 minutes away by taxi. 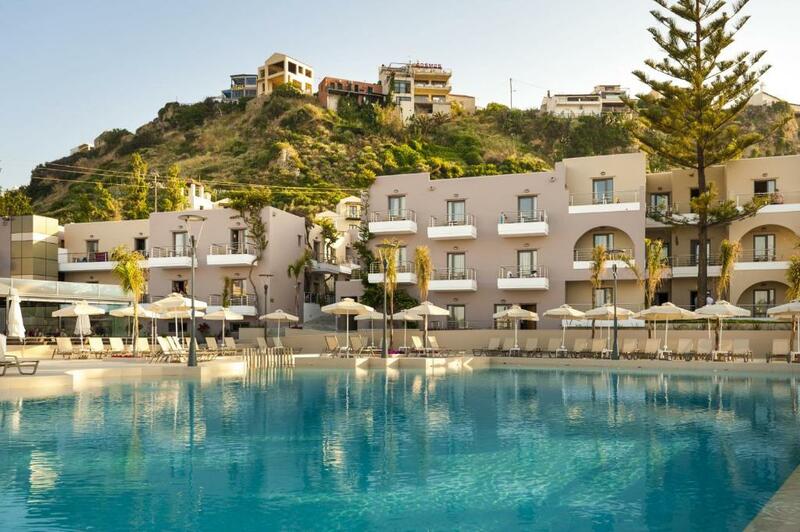 Lock in a great price for Porto Platanias Village Resort – rated 8.2 by recent guests! 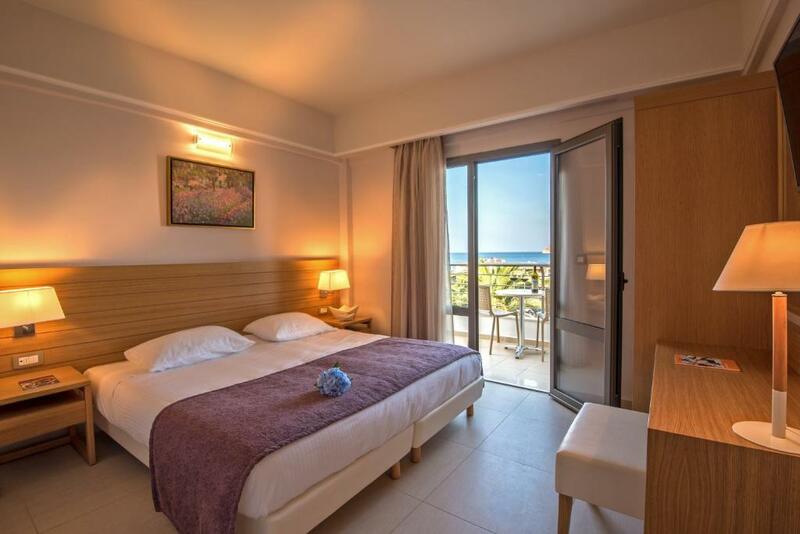 Porto Platanias Village Resort This rating is a reflection of how the property compares to the industry standard when it comes to price, facilities and services available. It's based on a self-evaluation by the property. Use this rating to help choose your stay! Just 650 feet from the beach of Platanias, Porto Platanias Village Resort is a village-style complex featuring stone-paved paths, gardens and a lovely swimming pool. It offers air-conditioned accommodations with DVD player. Studios and apartments at Porto Platanias have a private balcony with views to the pool and the hotel’s gardens. 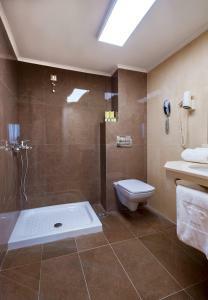 Each has a well-equipped kitchenette and a satellite TV with international channels, safe and hairdryer. The hotel’s restaurant serves Cretan and international cuisine in buffet style. Porto Platanias Village Resort has a snack bar, while Cretan evenings with traditional music are also organized. Within walking distance of the complex, guests can find many taverns, bars and nightclubs. The picturesque city and port of Chania is a 20-minute drive away. 뀐 Located in the top-rated area in Platanias, this property has an excellent location score of 8.5! When would you like to stay at Porto Platanias Village Resort? This apartment offers more space and features a separate bedroom and a living area. It has views of the pool or the garden. Maximum occupancy is 4 people. For extra charges please check extra bed policy of the hotel. This spacious apartment consists of 2 separate bedrooms and a living area. It has views over the pool or the garden. Maximum occupancy is 6 people. For extra charges please check extra bed policy of the hotel. Offering pool or garden views, this air-conditioned studio opens to a balcony. It has a kitchenette with kitchenware and a TV. This family apartment offers more space and features a separate bedroom and a living area. It has views of the pool or the garden. Maximum occupancy is 2 adults + 2 children up to 14 years old. House Rules Porto Platanias Village Resort takes special requests – add in the next step! Porto Platanias Village Resort accepts these cards and reserves the right to temporarily hold an amount prior to arrival. Kindly note that medical care can be provided upon request. Guests are welcome to use a nearby property's facilities, such a spa center upon charge, for more details please address to the reception desk. Please inform Porto Platanias Village Resort of your expected arrival time in advance. You can use the Special Requests box when booking, or contact the property directly using the contact details in your confirmation. A room was adjacent to the gaming area, which could get very noisy (including in the evening) and the sound proofing was not good. The rooms were very noisy mainly due to the ill mannered and disrespectful east Europeans. The food in the dining room was never anything other than warm at all times, I had to leave some of my evening meals because they the went from not so warm to cold in no time. Apart from that the quality of the food was good.The dress code at dinner was completely ignored. A few of the staff in the canteen... sorry restaurant gave me the impression that they didnt want to be there.The other members of staff in restaurant were very good. Because the hotel did all inclusive, (unbeknownst to me ), we had to put up with screaming children at breakfast and dinner, maybe there should have been a different area for family's at meal times. Non of the management seemed to want to address the shortcomings of the hotel saying it would put them in an awkward position to do so. I reported several times that our bed moved away from the wall as soon as you got in it, causing the pillows to fall down the back on to the floor, to no avail.The cleanliness in our room was definitely substandard, especially the bathroom.As to having to put your used toilet paper in a bin and not flush it, takes me back to when we used to go Greece forty years ago. Too many tourists they hog the pool they don’t leave the resort, they eat breakfast, lunch and dinner there and sit by the pool all day... the whole time we stayed there we didn’t use the pool once. Also rooms do not get cleaned daily they only do your beds. Bathroom was way too small I am a small lady 65kg and could hardly fit in the shower...no cupboard or shelf space to put your toiletries it was annoying to have to pack things up every morning because there was no shelf in the bathroom to leave them. The bathroom for the room was way too small. If you come to Crete to enjoy the beaches and town do not waste your money booking a resort or hotel with a pool. You won’t use it. The type of room wasn't kids friendly. THere were stairs in it!!! The location of our room was great over all. Near the playground and the breakfast area. Beach access not free, guarantee for towels which not changed everyday, room view. Really disappointed with our stay at Porto Platanias Village resort - the hotel from the outside look clean and well maintained the rooms were certainly not a **** facility. Shower gel provided in the room like in a travel inn - we were given twin beds instead of a double as requested, and when we asked for a double they just put the two beds together with mattresses horizontally so that there was the ridge of the bed frame in the middle. Air con turned itself off randomly, shower leaked and distinct smell of sewage outside of the room.